Players who have not experienced it before really should give it a shot, but as there is no brand new content to be found in the remaster, those who have played the original to death need to decide if a graphical upgrade and trophy support is worth purchasing again. Hopefully Remastered will succeed and Sega will work on a whole new entry. Its mix of real-time movement and tactical, turn-based decision making still feels unique, and proceedings are carried by a story that blends the harsh realities of war with more intimate, personal narratives. 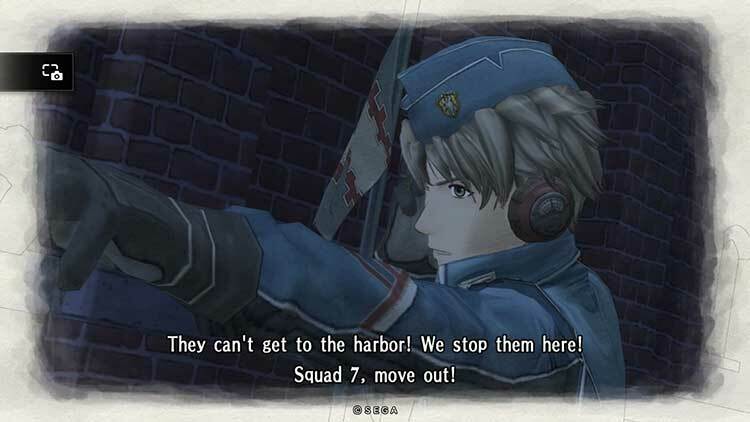 Parts of the remastered package do feel a little worn by today's standards, but those who missed out on joining Welkin Gunther and the gang the first time around should certainly consider enlisting for this return to the battlefield. These are minor complaints that hardly mar the experience of having Valkyria Chronicles readily available on a console for the first time in years. It was a fantastic game in 2008 and unlike some gems of the era, its appeal hasn’t been lost to time. Though it was received well critically the first time around and became a cult favorite, VC largely flew under the radar upon its initial release. I’m glad it’s getting another chance to shine a generation later. In the end, this is the best version available of a great game, so if you haven’t played it, and want the most up-to-date/complete version, this is the one for you. 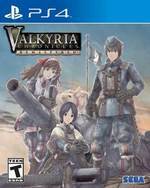 Valkyria Chronicles Remastered is highly recommended for fans of Tactical RPGs, JRPGs, or games that uniquely blend gameplay elements to create original gaming experiences. No doubt, it’ll get you hyped for next year’s sequel/ spinoff Valkyria: Azure Revolution! This remaster adds slightly improved graphics and frame rate, trophies, and the bells and whistles coming with a modern console release. Arguably, this isn’t an enormous change, but the original game was already a masterpiece on its own, and Valkyria Chronicles Remastered brings back all that charm. Deep challenges and rich rewards await if you decide to take on Valkyria Chronicles Remastered. If you’re playing it for the first time, this is as good a version as any to get a taste of the excellent blend of turn-based strategy and real-time action that made the game such a hit on PS3; if you’re a returning fan, on the other hand, you might be slightly disappointed to learn that this “remastering” doesn’t look much different from the original version (or offer any new content, for that matter). Valkyria Chronicles Remastered is just as great of a game as it was eight years ago. Having it perform better and run smoother is a gift. A few things hold it back from perfection, but I'd rather have a war game strive for something new and risky like this than go with safe boilerplate action sequences. I'm happy Sega took a chance on this one. Valyria Chronicles remaster is an excellent addition to the PS4 library. 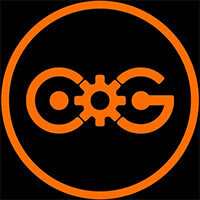 Its turn based, real time antics are just as fun and challenging as ever before. If this is a player’s first time trudging into battle, expect to be blown away, as long as patience persists. It’s not all out action and at times can feel a bit too hard, unless the strategies are played out exactly as they should, sometimes making the battles feel almost like a puzzle. 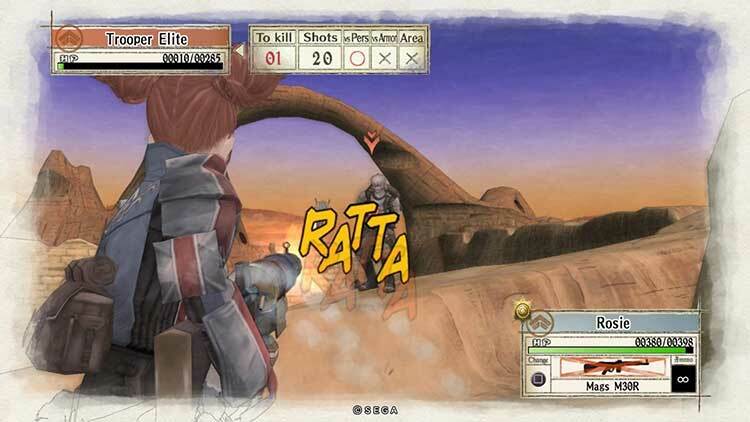 Valkyria Chronicles is a peculiar mix of influences then, but almost all of them work. The combat can feel a bit sterile at times, since the artificial intelligence is very robotic, but there’s depth to it as well as just novelty. Beyond the improved graphics though the only additions are the originally released DLC and an extra hard mode. 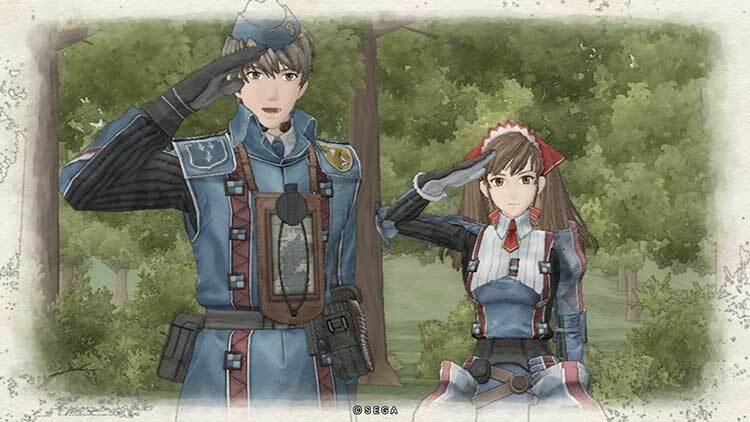 Unique in more ways than one, Valkyria Chronicles Remastered should not be missed by any strategy fan, although is perhaps geared more towards those less experienced in the genre. It's unique, engaging and beautiful. On the PlayStation 4 it runs silky smooth, making the experience even more exhilarating than before. On top of that the remaster proves that the original game still holds up very well, and retains a spot amongst the crème of the crop when considering strategy and tactics games for consoles. Valkyria Chronicles is a must-have for any tactical RPG fan,and even if you’re not a fan of the genre, the story is worth the purchase alone. Valkyria Chronicles is still one of the best tactical RPGs this century. Valkyria Chronicles Remastered se pone a la venta el próximo 17 de mayo en PlayStation 4 con la misión de defender su territorio y de conseguir nuevos jugadores ansiosos por probar uno de los mejores J-RPG tácticos que vieron la luz en PS3. Aquellos que ya lo jugaron en su día tienen la oportunidad de disfrutar de nuevo de este título con una resolución de 1080p y 60fp estables. Escoged vuestra arma, porque la necesitaréis. Un título cautivador, que mantiene intactas sus virtudes y sus defectos respecto a la versión original de Playstation 3 a la que le ha añadido una mayor resolución (1080p), 60 frames por segundo y audio dual. Sin alardes ni grandes novedades, pero permitiendo que el espectacular apartado artístico del juego luzca todavía mejor. En cualquier caso, es una pequeña joya de Sega con una historia memorable, un sistema de juego muy completo, un estilo visual con gran personalidad y una estupenda banda sonora a cargo de Hitoshi Sakimoto. 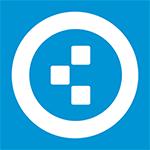 Si has cometido el desliz de dejarlo pasar en otras versiones, ahora es tu momento de enmendar el error. Esta conversión mantiene el estilo y mecánica de juego del original, que sigue siendo tan adictiva y bien recreada como lo fue en su día, y lo potencia con gráficos que son mostrados en 1080p de resolución y 60 frames por segundo más la integración del contenido DLC aparecido para el original. Más de 30 horas de diversión para aquellos que quieran probar una aventura muy diferente. Eine Schwäche sind kleine taktische Ungereimtheiten und dass die gute Bewertung eines erfolgreichen Gefechts vor allem von der Geschwindigkeit abhängt, mit der die Soldaten ihre Aufgaben erfüllen. Auch wird die Geschichte mit zu viel Kitsch und Pathos erzählt. Im Gegenzug erhalten PS4-Spieler aber die inhaltlich vollständige Version dieses großartigen Abenteuers. Jetzt kann das neue Valkyria: Azura Revolution kommen! 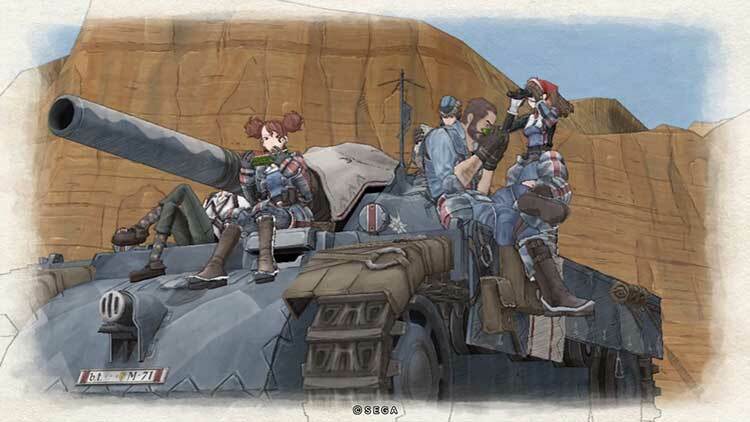 Dépoussiéré et lifté comme il se doit, Valkyria Chronicles Remastered ne surprendra pas pour autant les joueurs les plus familiers. Revu dans la forme mais pas dans le fond, ces derniers se laisseront peut-être tenté par l'artbook ou les DLC qui accompagnent ce sympathique retour sur le devant de la scène. Ce voyage dans le temps est quelque peu facilité par les améliorations graphiques réalisées, dommage que Sega n'ait pas choisi de dépoussiérer certains éléments de son interface ou de ses systèmes de jeu. Malgré tout, il s'agit d'un titre qui fera plaisir aux amateurs de Tactical-RPG, qui pourront ronger leur frein en attendant de connaître l'orientation prise la série. Bénéficiant d’un affichage en 1080p et 60fps, Valkyria Chronicles Remastered permet de profiter pleinement de la direction artistique du titre et l’on redécouvre avec joie ses graphismes colorés et sublimés par un aspect crayonné qui nous donne l’impression de voir des esquisses animées. Valkyria Chronicles Remastered è un gioco che, tutto sommato, sente tutto il peso dei suoi otto anni ma che proprio per questo, paradossalmente, riesce a ritagliarsi senza fatica un posticino d'onore nella libreria di PlayStation 4 grazie proprio alla penuria di titoli appartenenti alla stessa categoria. 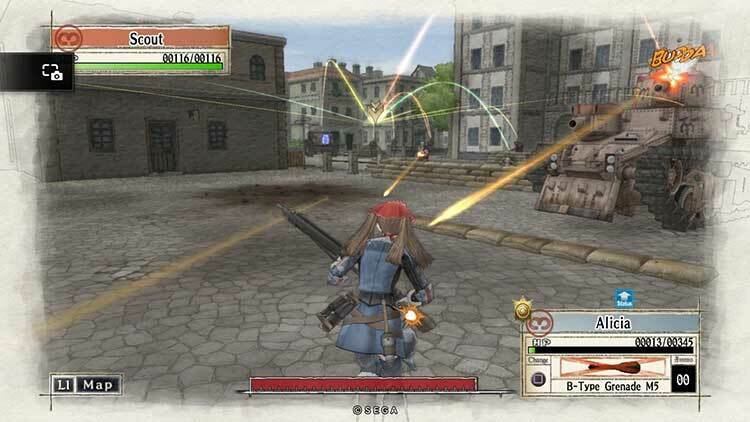 Nonostante i numerosi anni trascorsi Valkyria Chronicles si dimostra ancora oggi un titolo di grande pregio, in grado di catturare il giocatore grazie alla peculiare ambientazione in cui si svolge l'arco narrativo, e ad un gameplay sfaccettato e complesso, costruito interamente sulla dicotomia strategia-azione. Il porting su PS4 risulta qualitativamente adeguato, sebbene sia piuttosto evidente l'appartenenza alla generazione passata. L'assenza di aggiunte realmente inedite, ci porta a consigliare l'acquisto di Valkyria Chronicles Remastered solo a coloro che non hanno già avuto modo di giocare il titolo in passato. Valkyria Chronicles Remastered non è uno di quei titoli che ridefinisce un genere. Eppure, nel suo campo, riesce a metter su un baraccone di qualità inaudita. È un JRPG vecchia scuola, realizzato a mestiere e con qualche piacevole e interessante guizzo action. Nonostante alcune cadute di tono a causa di certe situazioni e personaggi tipicamente nipponici, il titolo Sega riesce a portare con sé epicità, profondità e grande fascino emotivo. Valkyria Chronicles Remastered okazała się bardziej opóźnioną edycją „GOTY”, wydaną na młodszą platformę (wszak zawiera wszystkie wydane DLC) niż pełnoprawnym Remasterem. Nie ma wielkiego sensu kupować jej drugi raz, by przeżyć ponownie w nieco piękniejszej oprawie, gdyż tak naprawdę wygląda wciąż tak samo. En något bristande story och karaktärsutveckling får tempot att stappla någonting, men då det är enkelt att hoppa över om en inte riktigt bryr sig är Valkyria Chronicles Remastered ett spel jag varmt kan rekommendera till alla som finner glädje i taktiska rollspel.